Mend focus on inspiring children, families and adults to lead and sustain fitter, healthier and happier lives. 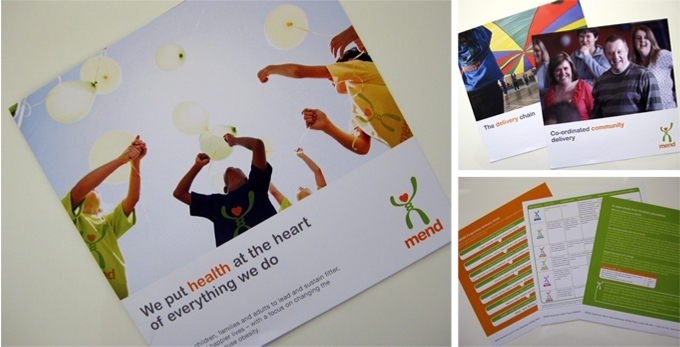 They focus on changing the behaviours that cause obesity and do this by providing programmes, resources, and training. They required a marketing tool to help engage potential partners and also future funders. 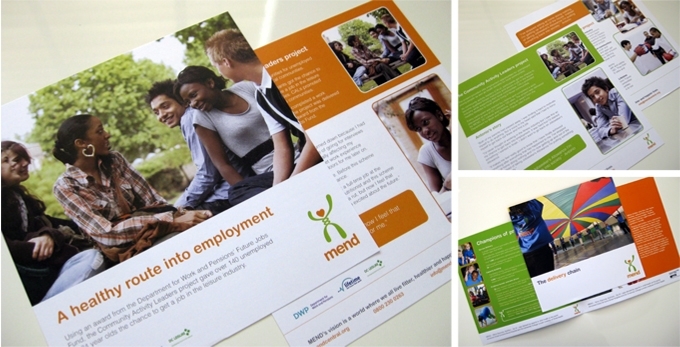 We were commissioned to design the effective solution pictured above of a brochure with inter-changeable inserts. We understood their philosophy and created a powerful message of ‘We put health at the heart of everything we do…’ Combining this on the front cover with a memorable shot is truly aspirational.